VISALIA – Dr. Donya Wheeler is leaving Exeter schools for the first time in her education career to take her first job leading a duo of public charter schools. 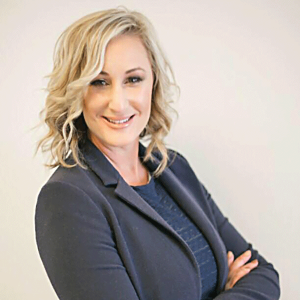 In its March 8 newsletter, The Academies Charter Management Organization, which oversees the Tulare County charter schools Sycamore Valley Academy and Blue Oak Academy in Visalia, announced Wheeler as its new superintendent. Wheeler has spent her entire education career in Exeter. She started her career in 2003, teaching for five years in various grades of elementary and middle school and serving as a Reading Specialist in the Exeter Union Elementary School District. She began her administrative career in 2008 as assistant principal of Lincoln Elementary School where she became principal in 2010. She was promoted to Deputy Superintendent in 2014 overseeing curriculum and instruction, instructional coaching, assessment and accountability, professional development, and oversight of the Local Control Accountability Plan (LCAP). Wheeler applied to succeed Tim Hire as Exeter Unified School District’s superintendent in December but the board selected George Eddy, the district’s director of administrative services as well as career and technical education. Wheeler said the timing of the decision was good because she can finish the work she started at Exeter by helping the district prepare to convert 80% of its classrooms to flexible classrooms more inline with 21st Century Learning philosophies. Wheeler said she was attracted to the position because, like Exeter Unified, The Academies look to provide students with authentic learning experiences through project based learning and build relationships with parents to create a greater connection to the community. The difference, Wheeler said, is that public charter schools have more freedom to be innovative in the classroom than traditional public schools. The Academies founder, Ruth Dutton, said Wheeler’s advocacy for public education, including charter schools, her commitment to continuing her own education, and involvement in regional and state-level education policy, make her an ideal fit for The Academies. Dutton went on to say that her replacement possesses a humble attitude and growth mindset and is looking forward to working with our staff and to having my coaching and support in 2019-20 as she learns the ins and outs of our schools. “As founder, it gives me great joy to share that I have confidence this will be a successful leadership transition not only because we have found the right person for the job, but also because the wonderful people involved in our schools and the culture of our organization is such that soon, our entire “village” will wrap their arms around our new superintendent, and continue our tradition of collaborative contribution toward shared goals,” Dutton said. Dutton began Sycamore Valley Academy (SVA) in 2010 to nurture students to their fullest potential, not only in academics, but also in expression, and especially gifted students who are often overlooked at traditional public schools. Under Dutton’s leadership, SVA grew from a staff of 11 in 2012 to a staff of 47 today. The school has won national and state awards, and received praise and recognition for the staff’s tireless commitment to educational excellence and effective instruction, providing gifted education for all. Not wanting to create a school that panders to the local elite, Dutton made and met her goal of serving a more diverse student population, growing from an 18% Free/Reduced Lunch population in 2012 to nearly 40% today. SVA’s sister school, Blue Oak Academy, in now in its second school year and already has 27 staff members. Parents and staff report a culture of true teamwork, and initial student achievement data suggests Blue Oak students are receiving the same benefits as their SVA counterparts. More than half of its enrollment (51%) is Free/Reduced Lunch. The growth of BOA also provided the opportunity to establish The Academies Charter Management Organization (CMO), which works is to make sure our schools will be sustainable, strong, and relevant in a changing environment and into the future. Joining Wheeler in the organization’s central office are Claudia Van Groningen (Operations) and Shauna Dolin (Human Resources), as well as Edtec, an integral external partner for fiscal/business services. Dutton said she remains committed to helping the Academies and the nonprofit’s work to “elevate expectations of learning and growth” by staying involved to ensure a successful transition, and to work closely with the Board of Directors to that end. Dutton went so far as to offer to assist with The Academies charter renewal process in 2022. The decision to step down was not only to dedicate more time to her family but also to further her original mission with a new dream. Dutton said her daughter, Harper, whose kindergarten experience revealed the need for these schools, is now approaching high school and Harper’s brother, Jack, is beginning SVA’s middle school program at the same time next fall. Dutton also shared she was recently engaged and that her fiancé’s skills are in coding/tech and in film and music production. The couple will begin laying the foundation for a new website that will help parents in California find the right charter school for their learner: www.californiacharterguide.com. From there, she said they hope to build a business around video marketing, which schools can use to enhance their page within California Charter Guide as well as their own websites and media markets.